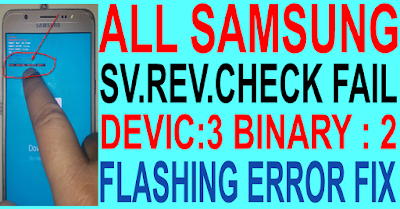 Home / How To Fix ALL SAMSUNG "SV REV.CHECK FAIL DEVIC:3.BINARY: 2"Flashing Error. 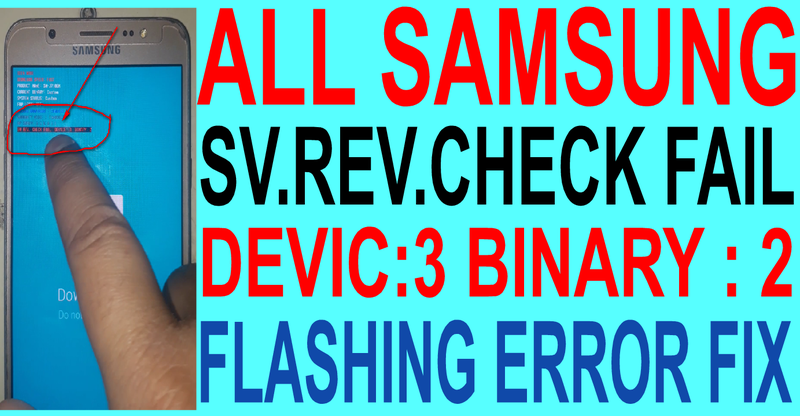 / videos / How To Fix ALL SAMSUNG "SV REV.CHECK FAIL DEVIC:3.BINARY: 2"Flashing Error. SAMSUNG "SV REV.CHECK FAIL DEVIC:3.BINARY: 2 Fix Method. 1# Download Your devic firmare file. 5# Connect your phone on download (odin) mode. 6# Flash only ( AP,CP & CSC) file only. 7# Now your phone show error not show.